This book bursts with humor and sentiment. It’s a can’t-put-it-down kind of book that will bring out the writer, speaker, dramatist, and humorist within. 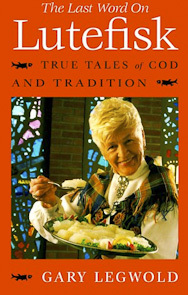 These 102 toasts, jokes, and nuggets of history will help you say, in an eloquent or witty way, what you’ve always wanted to express to your fellow lutefisk lovers.